I love writing this article every year. If you remember our 2015 and 2014 articles of the same name, you know that I take a lighthearted look every year at a few high-profile flops. Oh, it’s not fair to call them flops because if these manufacturers had a realistic image of who they are in the marketplace, they would have smaller booths that looked appropriately busy. But for whatever reason, there are going to be people whose marketing budget allows them to challenge big boys like Intel and Samsung even though there’s no real demand for their products. 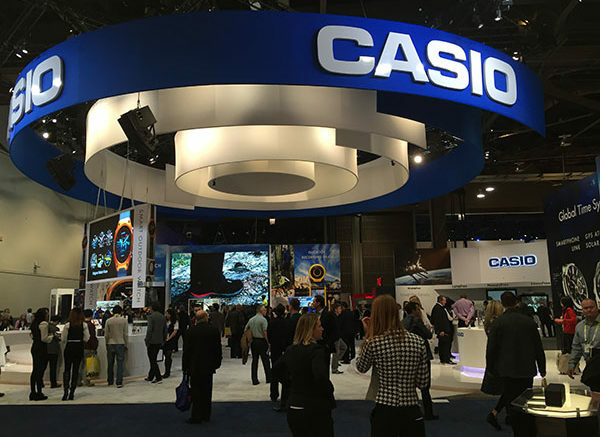 The first entrant this year is the series’ only three-time winner, Casio (shown above.) I’ll grant you, their booth looks pretty well-populated in the picture above but it’s also gigantic, close to Samsung’s in size. I only had time for a quick swing by, but I think their booth is actually even bigger than it was last year. I guess people who buy electronic keyboards and digital watches must have a completely different show to go to. This year I look down my nose at Polaroid. As you may know, the company calling itself Polaroid is not the same one that built the original instant cameras; that company failed in the early 2000s and the only bit of it that remains is a shell corporation that licenses the Polaroid name to various Chinese concerns. That’s a pretty typical move actually and many of the names from your childhood are actually zombie brands. Polaroid’s licensees made a lot of hay over the fact that Instagram’s app icon looks like a Polaroid camera from the 1970s and took the opportunity to add the familiar rainbow to a lot of current products. The problem is that millennials have no attachment to the Polaroid brand and don’t really understand why you would print pictures. Polaroid does more than make cameras now; they make TVs and 3D printers and projectors and a lot of other stuff. The problem is that no one really seems to be interested. Now here’s a case of bad placement more than anything else. 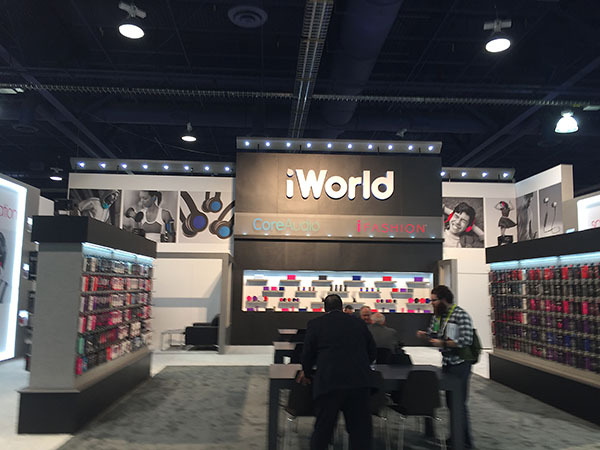 This company, iWorld, would probably have been more popular in the iPhone-heavy North Hall, but they ended up in the South Hall, home to networking equipment. There wasn’t a lot of interest for a company whose flagship products are speakers, headphones, and phone cases. Seriously this was the emptiest booth I saw all day. Hopefully they haven’t signed the contract for next year’s booth yet. You know… I pick on these companies but I hope that you all know I do it in good fun. 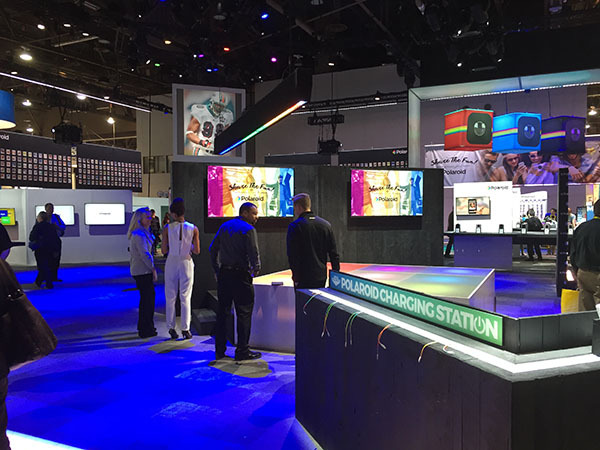 Puttting together a trade show presence is hard and it all has to be done a long time in advance. Sometimes market conditions change and sometimes it’s just a matter of corporate pride, showing the world that your company is still here and still successful. But, a long time ago someone told me that it’s better to have a small shop full of products than a big one with empty shelves. Maybe there’s a lesson in there for this year’s featured companies.